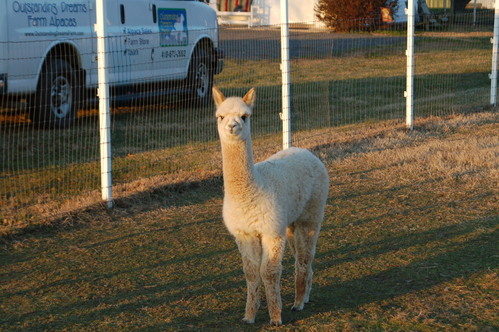 Wow, Tiger Lily's first cria and Ringside Rumor's first cria is a gorgeous little black female! 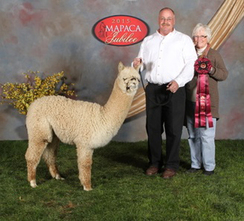 NEWS FLASH - Blackberry (Ringo & Tiger Lily's first cria) went to her first show (Best of the US March 13-14) and brought home a blue ribbon and Reserve Color Champion Black Female! Then, she went to her second show (IAI) and brought home a blue ribbon and Color Champion Black Female - way to go Blackberry! Tiger Lily's Little Deby is the product of mating our multiple Champion herdsire, MFI Peruvian Maximization, with our Champion producing dam, Hobby Horse Peruvian Tiger Lily. 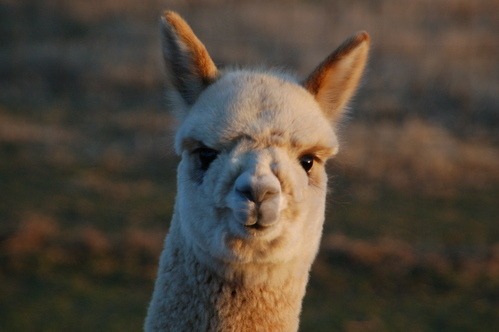 In fact, we were so pleased with this cria, we have repeated this breeding! The result of this pairing has been nothing less than spectacular! 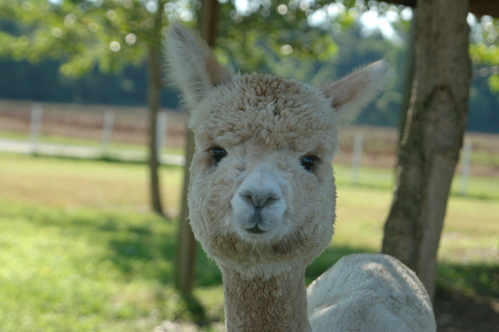 Little Deby has one of the densest fleeces we have ever seen on a cria anywhere ! She has all around spectacular fleece qualities with tight bundling , soft handle, & a very beautiful, uniform light fawn fleece.Her fleece has that buttery feeling you just can't keep your hands off of! Along with her fiber qualities, Deby's conformation is flawless. Her pedigree is chock full of well know heavy hitters such as Quetzal & Timiteo on her sire's side & Royal Apollo & Royal Fawn on her dam's side, to name a few. Be sure to check out both her sire and dam's profile to see the great genetics that have helped make Deby what she is. 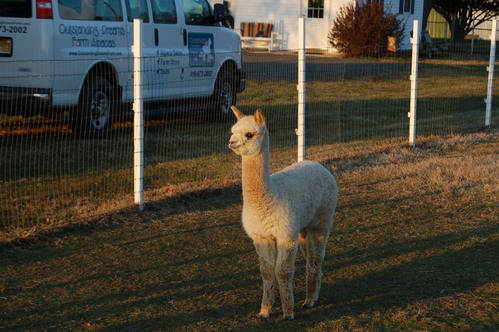 We feel that Debbie is another of our show prospects & would make an excellent addition to any herd ! Deby has confirmed our belief of her potential in the showring by placing 2nd at the MAPACA Jubilee, Level V show in a very tough, competitive class. Deby was one of the youngest in her class but placed a very close second. The judge's comments were, excellent density and fineness, coupled with solid conformation. We're confident Deby will continue to improve as she matures. Buy her now and add her to your showstring, then bring her back to us for 2 free breedings when she comes of age!